Currently The Nail Bar carries polishes by Deborah Lippmann, Azature (made with black diamonds – could a brand be better pitched for Hong Kong high-rollers? 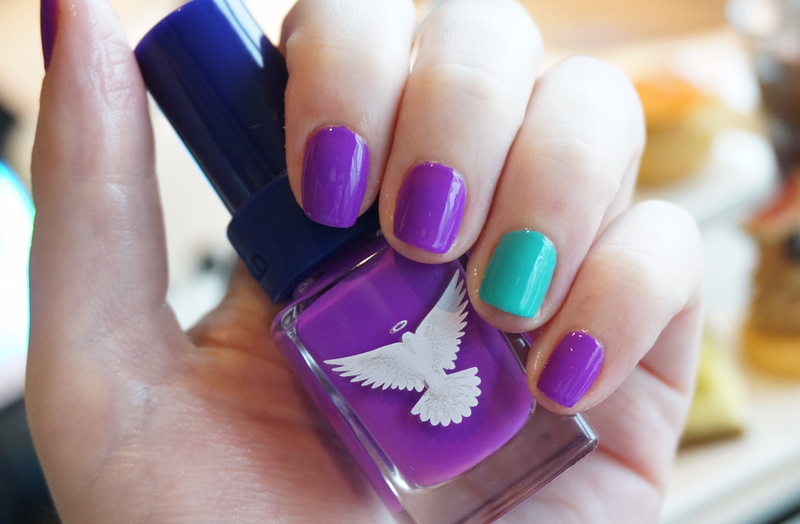 ), OPI, CND Shellac and my pick for the day, cult Aussie brand Christina Fitzgerald. Their dizzying rainbow of colours is conveniently displayed in swatch books for you to drool over, whilst the Four Seasons lovely spa director Shoshana helped me find even more colours to covet from their secret bottle stash of new shades. Whilst I was changing my mind about polish colours every five seconds and getting Charmaine to stuff mini cakes in my mouth, my therapist had already got down to work with the treatment – first soaking my hands in a warm water bath, then gently exfoliating my hands and lower arms with a scrub. The best bit of the treatment was a totally decadent porcelain cream masque, an in-house retinol-infused formula stuffed with goodies like coconut oil, carrot juice and shitake mushroom extract to brighten and smooth your skin; whilst one hand was basking in that, my other was being treated to a wonderful hand and arm massage, making the whole thing doubly delicious! The masque felt gloriously rich, heavy, creamy and moisturising, with the final result being hands so soft, smooth and radiant that I felt the need to keep pressing them against my cheek like I was in a hand cream commercial. 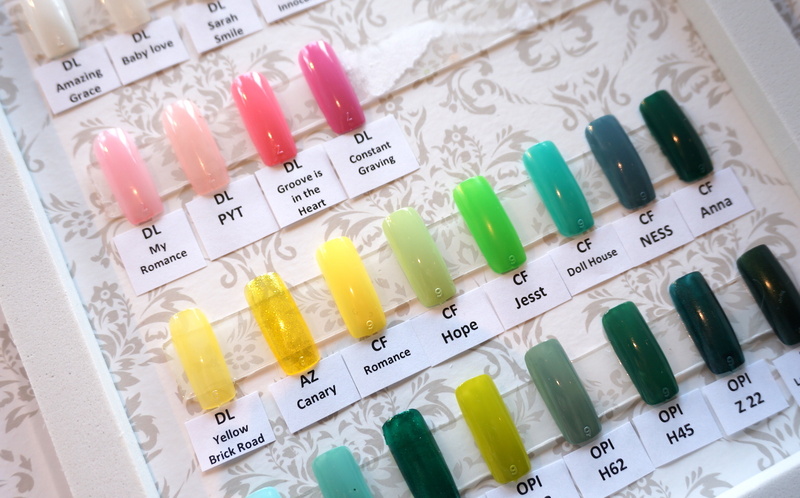 For my manicure, I’d eventually decided on two vivid Christina Fitzgerald candy colour pops – Freedom (an electric purple) and Doll House (an intense cerulean turquoise). Both were brilliantly bright without being overly neon, seriously soaked in vibrant, rich, gorgeous colour. A quick note: I had originally planned on asking for some fairly simple nail art, but currently, only two of The Nail Bar’s therapists is trained in it (unlike The Nail Library, where all the girls are proficient). Also, as nail art takes longer than a regular mani and The Nail Bar is pretty much booked out 24/7, this is definitely something you should mention you want when making your appointment. After the usual rounds of buffing, filing, cutting, trimming, painting and drying, I was eventually left with a killer cool manicure that looked every bit as wow-worthy as the salon it had been created in! Sadly, it didn’t end up lasting nearly as long as I hoped; it ended up chipping only a couple of days in, but after consulting a few in-the-know nail polish nerds, it seems like that’s more to do with the inconsistencies in Christina Fitzgerald’s lacquer line than a fault of the Four Seasons. 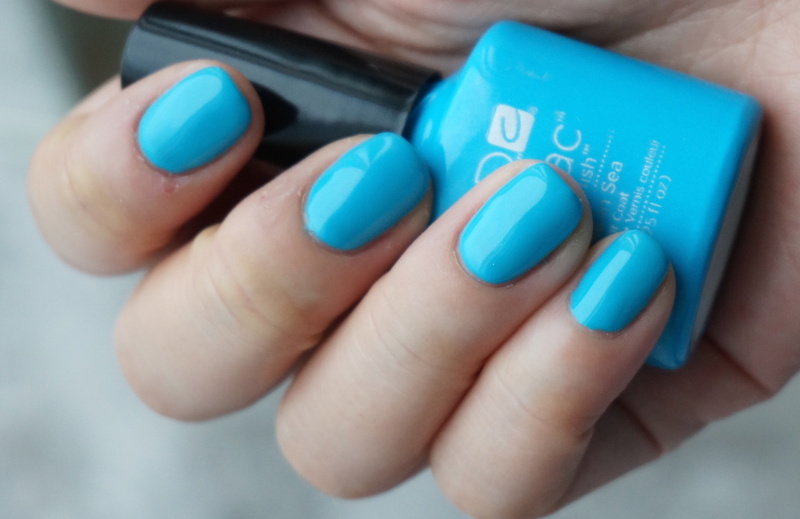 Meanwhile, travel-bound Charmaine had opted for a Shellac manicure in super bright CND Cerulean Sea, a blissful sky blue that was another total summer knockout. I saw her almost a month later and it looked every bit as pristine and perfect as it had done when she left The Nail Bar – result! 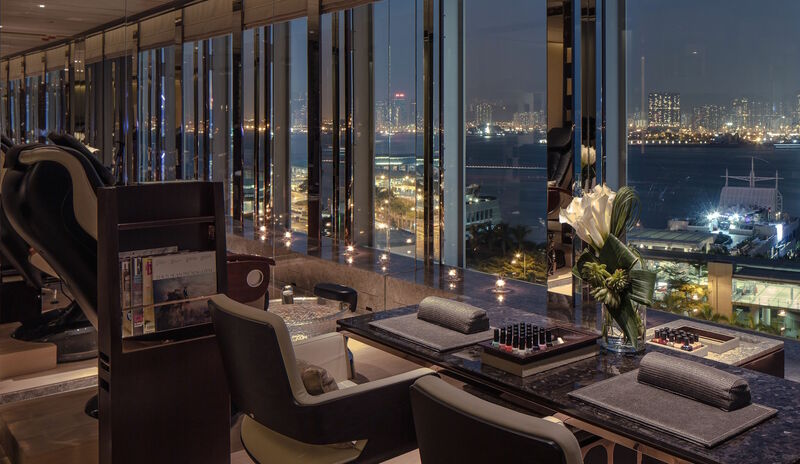 Whilst there’s no doubting it’s a bit pricey, I’d definitely be down for a return trip to The Nail Bar for future special pampering treats – the Four Seasons just has a knack of making you feel like a queen, which I think is pretty priceless. As far as uber luxurious hand and feet treatments in Hong Kong go, they don’t come much better than this. 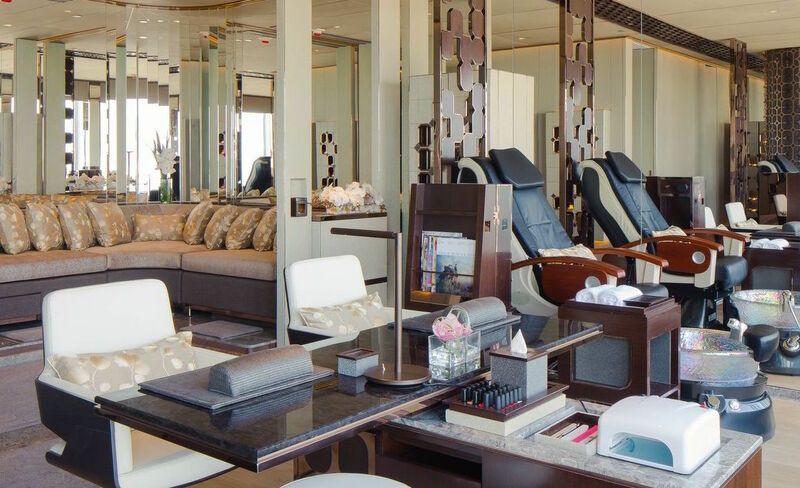 The Four Seasons’ Nail Bar Luxury Manicure lasts 60 minutes and costs $700 on Monday-Thursday, or $770 on Friday-Sunday. Shellac Hands costs $920 on Monday-Thursday or $990 on Friday-Sunday. 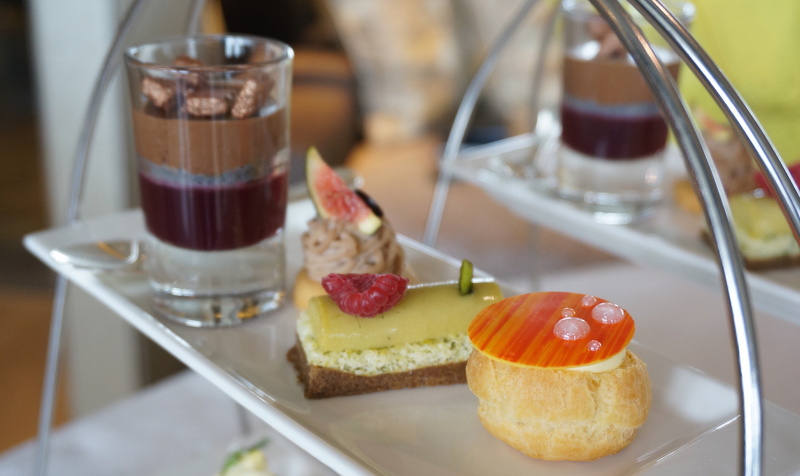 Nail Socials (for a maximum of five people), including hand and foot treatments plus afternoon tea or evening nibbles depending on the time of day, last 150 minutes and cost $11,888 on Monday-Thursday or $12,888 on Friday-Sunday. 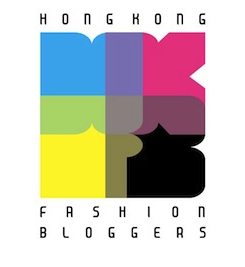 This entry was posted in Beauty, Hong Kong and tagged best manicure Hong Kong, best manicures Central, Christina Fitzgerald, Christina Fitzgerald Doll House, Christina Fitzgerald Freedom, CND Shellac, CND Shellac Cerulean Sea, Four Seasons HK, Four Seasons Hong Kong, Four Seasons Hong Kong Nail Bar, Luxury Manicure, luxury manicure Hong Kong, luxury nail salons Hong Kong, manicure, Nail Bar Four Seasons HK, Nail Bar Four Seasons Hong Kong, nail lacquer, nail polish, nail varnish, NOTD, review, Shellac manicure Central, Shellac manicure Hong Kong, swatch, The Nail Bar, The Nail Bar Four Seasons Hong Kong, where to get a manicure Central, where to get Shellac Central. Bookmark the permalink. 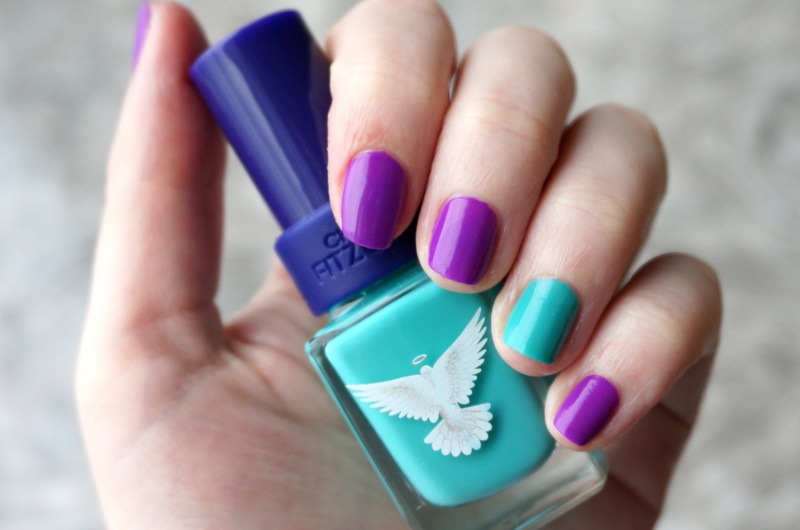 LOVE the purple with a pop of mint!